A simple but hip little open/closed/snare hi-hat pattern that Peter Erskine showed me awhile ago. Then double the hi-hat with the bass drum. Earl MacDonald is a wonderful Canadian Jazz pianist, composer and arranger, originally from Winnipeg, now teaching in Connecticut. We are both graduates of the Jazz program at McGill University in Montreal however we missed each other by a few years. Fortunately we have many mutual acquaintances and have gotten to know each other over the past few years. 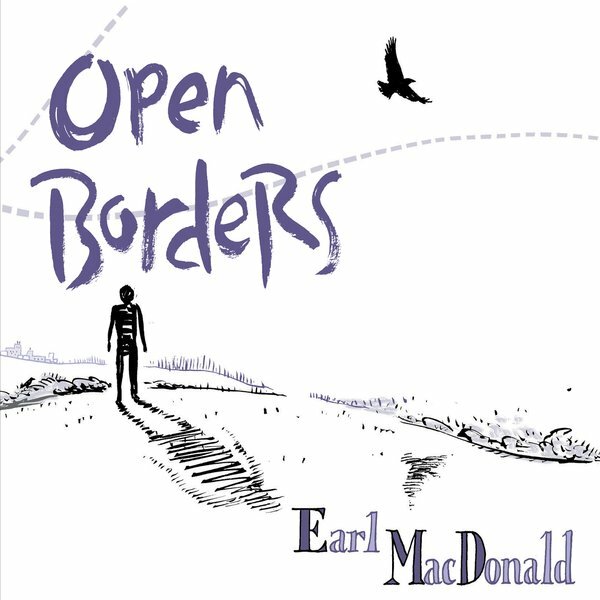 Earl has a wonderful new recording out featuring a concept and instrumentation that really fascinates and resonates with me these days. Tell us about your latest recording! It’s called “Open Borders,” and all the music is written for a 10-piece band comprised of 2 trumpets, French horn, trombone, 3 saxophones (alto, tenor, Bari), piano, string bass and drums. A guest vocalist appears on one track and a Latin percussionist was added on another. I arranged all the music. Five of the tracks are original compositions, two are pieces by Albertan jazz musicians who commissioned me to arrange their music, and the remaining four songs are arrangements of familiar tunes (East of the Sun, Hit the Road Jack, Appointment in Ghana, Blame It on My Youth). How did you choose your repertoire and sidemen? The repertoire developed organically; I didn’t have an album theme selected at the outset. I formed the 10-piece band around 2009 to work in conjunction with my local jazz society, to help them accomplish their aims and purposes related to audience building and jazz education. I thought it could be a mutually beneficial union, and it was, for about a three-year period (until some grant proposals failed and a theft occurred from within the organization. Then everyone’s enthusiasm fizzled.). · Catch of the Day - arranged for the Grant McEwan University Faculty/Alumni Big Band. Jackie McLean’s Appointment in Ghana, was arranged because the band and jazz society were Hartford-based, which was Jackie’s home. It was fitting for the ensemble to pay tribute to him, as several people within the band were Jackie’s students… which leads to your other question, regarding sidemen. Initially, I wanted everyone in the band to either reside in Connecticut or have ties to state, because of the working link with the Hartford Jazz Society. We started out that way, but over time, a few people slipped in from New York and Massachusetts. I worked closely with alto saxophonist, Kris Allen, in making personnel choices. They all needed to be decent readers, strong improvisers, and hungry to play. We also discussed the benefits/importance of working with a diverse set of collaborators. What inspired you to pursue the vibe and instrumentation that you did? I wrangled with the instrumentation for several years. I remember making lists, comparing “little big band” configurations on various albums. Arranging for Maynard Ferguson’s Big Bop Nouveau Band got me thinking about it. That was such a messed-up instrumentation: 3 trumpets (plus Maynard! ), trombone, alto sax, tenor sax and rhythm section. The band really would have benefited from a Bari sax or bass trombone to add some bottom end. The poor trombone player had to do acrobatic feats each night, jumping from the bottom to top registers. I spoke with Rob McConnell about my intent to start a band and asked how he arrived at his 10tet’s instrumentation. His advice was to stay clear of woodwind doubles and French horns, because it made finding substitute players difficult. (He also grumbled something about the personalities of horn players.) I listened regarding “doublers,” but ultimately decided to include French horn, as it adds an unexpected, elegant hue to the group. Horn also bridges the brass and saxes, and widens orchestration possibilities. Jim McNeely’s “Group Therapy” album from 2001 was a big influence when forming my group. I got to hear this band live at a jazz educator’s conference in New York City, which was inspiring. Jim’s group did include both horn and woodwind doubles. I wrestled with including a fourth saxophone, knowing that it would facilitate 4-part writing in both the brass and saxes, but then again… if I had done this, I might not have arrived at some of the more interesting instrumental combinations I discovered in the process of problem solving. With regards to the vibe, I wanted my music to be a natural extension and offshoot from folks like Thad Jones, Bob Brookmeyer, Bill Holman, Slide Hampton, Jim McNeely, Gerry Mulligan and Rob McConnell. I aimed for the music to be informed but not derivative, original but not off-putting. I even wrote down something like this before starting. Was there a particular message you were trying to convey to the listener? Not initially. If anything, I just wanted to demonstrate that thoughtfully arranged, acoustic, large ensemble jazz was still viable as an artistic medium. Who are your influences with regards to this style of writing? For about a decade, I have been leading a 10 to 12-piece ensemble at the University of Connecticut. Each semester we focus on the music of a different composer, so in the process, I have learned a lot by studying the scores and preparing the music of people like Michael Abene, Jim McNeely, Dave Rivello, Rob McConnell, Marty Paich, Gil Evans, Gerry Mulligan, John Mills, Michael Philip Mossman, Nathan Parker Smith, and Bill Cunliffe. I’m looking forward to revisiting Rob McConnell’s 10tet music in the coming spring semester. What are you practicing/studying/listening to/researching these days? Benny Golson visited UCONN this past semester, so I learned and reviewed a bunch of his tunes in preparation. I’m now trying to expand the number of Thelonious Monk tunes I have memorized and am comfortable performing. I’ve been taking trumpet lessons with my 11-year-old son, and we practice together every day. I transcribed a bunch of Blue Mitchell solos and we’re now learning to play them. On occasion, I will pull out my trumpet at the jam session I lead at the university, and will play a blues. I’m enjoying this new challenge and I believe it has made me more aware of the physical demands of playing the instrument, which will improve my arranging. I listen to a wide variety of jazz. Recently I pulled out “Mel Lewis & the Jazz Orchestra: Make Me Smile and Other New Works by Bob Brookmeyer.” It made me question if my writing is becoming too conservative. I may need to up the ante to reflect my political angst. What other current and future projects do you have on the go at the moment? At the moment, I am in recovery mode after an intense period of writing under a deadline. I just finished two big band commissions – one for the Winnipeg Jazz Orchestra and the other for the University of Massachusetts Amherst Jazz One Ensemble. The piece for UMASS, entitled “By Our Love,” is more politically charged. It is a reaction to the political tribalism in America which compelled three-quarters of white, evangelical Christians to support a presidential candidate who is seemingly the antithesis of all the things Jesus taught and lived. Elements of my piece are derived from a frequently sung hymn entitled, “They Will Know We Are Christians By Our Love,” composed in 1968 by then-Catholic priest Peter Scholtes. There is a disturbing paradox to the hymn’s title in the current era, when allegiance to political party appears to take precedence over the tenets of one’s faith. I plan to revisit this piece and further develop it after some time away from it. I applied for a grant where in conjunction with an illustrator, a musical and visual multi-media experience will be created, to be performed as a catalyst for dialogue. Dialogue will encourage contemplation of the current polarized political climate in the US, and its relationship to faith practices. The music will be performed while the visual plays. An invited interdisciplinary panel of sociologists, political scientists, clergy of different denominations, etc. will use the preceding performance as a springboard for discussion and commentary. Needless to say, this project really excites me. I think there is potential for selling it as a reproducible event (similar to theatre productions) which could be presented on campuses or churches across the country. We’ll see. Other than composing, I’m playing a bit, here and there. I enjoy my monthly big band gig with the New London Big Band, which is comprised mostly of US Coast Guard musicians. They play a few of my charts and I’d like to write more, specifically for them. I like the idea of writing simple yet strong, easy-to-follow charts, that can be sight-read on the gig (even after a beer or two). I have a bunch of guest conducting gigs coming up, with high school and middle school regional ensembles. I truly enjoy this type of work, which typically spans a weekend. For a while now, I have been planning to write a series of educational big band charts. It’s just a matter of prioritizing it, and carving out the time. Someday I will make it happen. How do the drums factor into your compositions and concept? I think about drums a lot and go through phases when I practice on drum set. When I see bands perform, I am usually fixated on the drummer. Drums are definitely not an afterthought in my writing; they are in the forefront of my imagination. I am very aware of how they can affect and impact everything else. Sometimes I imagine specific drummers playing my music, as I write it. A big part of my writing process is singing imagined rhythmic figures (sometimes complete with drum fills), into a recording device for later transcription and reworking. What drummers do you admire? Nasheet Waits is a drummer that interests me on recordings. He’s someone I’d like to experience playing with at some point. I think some of Fred Hersch’s most inspired playing is with Nasheet. Rogerio Boccato is the drummer/percussionist I like using with my C.O.W. ensemble. He has a special magic to his playing that brings the music to unexpected places, but nothing ever feels forced. I can’t imagine playing that music with anyone else. It’s nice to see his career taking off, and that he’s appearing more and more frequently alongside Brian Blade, and within Maria Schneider’s band, for instance. I am becoming more and more interested in Max Roach, and only in recent years have started becoming acquainted with his work as a leader following the years with Clifford Brown. “We Insist” for example, is so incredibly deep! There are so many drummers I could name, but I’d be here forever and might just be recreating a list of all the greats. I will offer that Elvin Jones is probably my all-time, historic favorite. For my 10tet and the “Open Borders” recording session I thought more about forming a cohesive rhythm section than about a drummer specifically. I like how Ben (Bilello) and Henry (Lugo) play together. It feels good, they are consistent, and the tempos stay put. Both of them take care of business and prepare ahead of time and they are eager to please. The two of them make me laugh and keep me feeling loose, so I knew their presence would help ease tensions during a long recording session. I hired Winard Harper recently for a gig I did in New York. We have worked together for the past three summers at UMASS Amherst’s Jazz-In-July program. I like the energy and personality he brings to the music. I hear plenty of tradition in his playing (Max Roach especially), but with him, I don’t feel boxed into having to play in a certain manner, replicating a past era. At times his accompaniment surprised and prodded me; I was pushed out of my routine and forced to really improvise. I love this, and it made for an inspired performance. At the same time, he is flexible and listens. Some drummers are creative, but there is no flexibility; it’s their way or the highway, which can be a drag after a while. 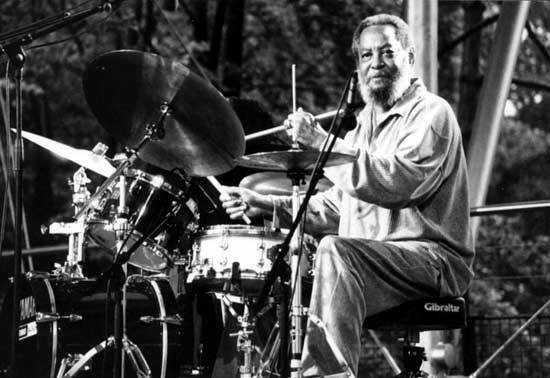 There are so many functional jazz drummers, but few that are “special.” The special ones bring something extra to the music and inspire others to play at their best. They’ve got personality. There’s nothing worse than playing with a drummer who is polite and doesn’t put him/herself out there. The flipside is that some of the drummers with strong musical personalities have equally strong and abrasive personalities off-stage. I could name several drummers I have wanted to hire, but have been warned by other players to stay clear of them, because they are problematic. Dynamics are another pet peeve. I hate having to play a whole night where I am forcing my sound in order to project. I despise the feeling of lactic acid buildup in my forearms, stemming from fighting a drummer, that prevents me from playing anything beyond eighth notes. Obviously, it is desirable to achieve balance between being forceful and gently expressive, so I try to work with drummers with a sufficiently wide range of dynamic control. What advice do you have for younger, aspiring jazz musicians? Get off your phones and get some serious practicing in while you can! - Ted Panken's "Today Is The Question"
- Ethan Iverson's "Do The Math"
My experience hearing Ben Riley play was, of course, consistent with his description. However, as you can see below, he was a great soloist too! From the same series of interviews as the Philly Joe Jones one from earlier this week, now here's Max Roach! Thanks again to Rochester's Mike Melito who found these gems. Alright. Just stop whatever you're doing and watch this. Right now. Thank you to Rochester's Mike Melito for finding this one! This is a short little exercise that I practice to develop my left hand accents. This is based on something that Joe Morello showed me in a lesson ten years ago. This is a great little ditty you can use to develop your left hand traditional grip but you could also play this using matched grip, unison/hands together or any way you want, really. People (students, teachers, fellow drummers, etc.) often ask me about my own use of traditional grip and I am always willing to share how and why I do it. As a student of Jazz drumming, I believe it is important. Hand technique (ie. traditional vs. matched grip) can be a very personal and contentious issue but I find playing traditional grip has been tremendously valuable to my own playing as a Jazz drummer. Now, I don't think you have to necessarily play traditional grip to be a good Jazz drummer (in fact, my good friend and fellow blogger Ted Warren is a great example of this and, of course, many other current Jazz drummers exemplify this as well...) but given the history of the grip and its use by the great drummers who created the language of Jazz drumming, I do believe that it is worth checking out and seriously considering at some point in one's development. It may not be necessary but it IS significant and, I believe, worth exploring. Personally, I use both traditional and matched grips as the situation dictates and I'm glad to have that option. I feel that both grips each have their advantages/disadvantages so the more you can do, the more you can do! Some drummers have been very dogmatic about this subject (on both sides of the traditional vs. matched debate) but at the end of the day, as long as the musical purpose is served first and foremost, you are welcome to hold your sticks/brushes/mallets any way that you want! This was shown to me by Joe Ascione, a great drummer with ridiculous hands, whom I took some lessons with in New York City back in 2004, in the basement of the Ed Sullivan Theatre.